Freak came down and met Dave and I at the military crossing that I have done so well in the last year. We had a great time. I found several pieces of lead but, nothing spectacular.. 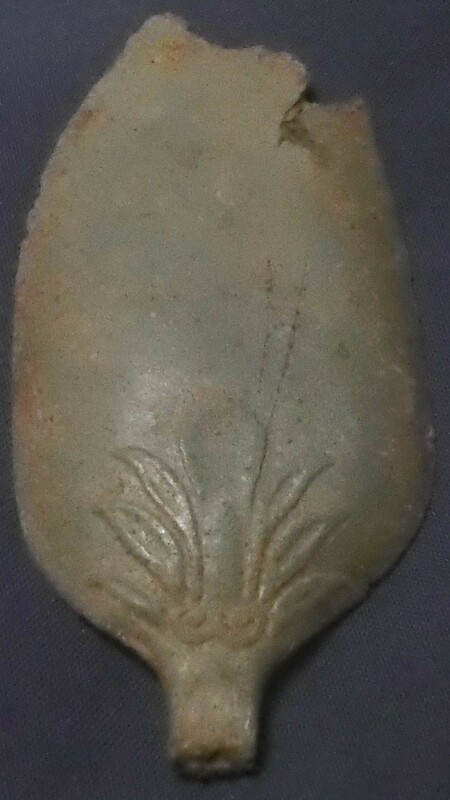 I did find a really old spoon, unfortunately it was only a piece. There was an odd decoration on the back. I did get a low 90's signal on the Garrett's AT Gold. It ended up being some sort of door lock plate.. 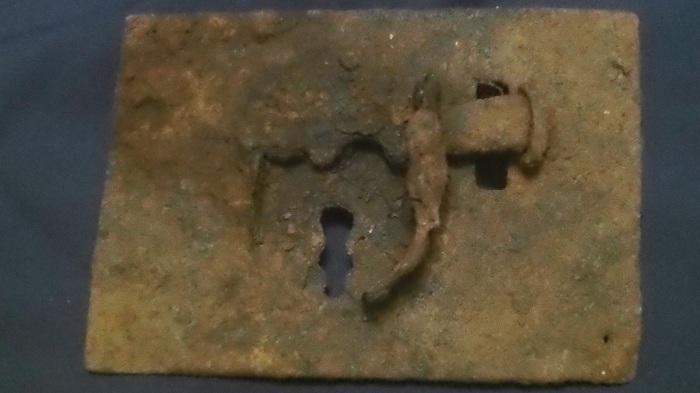 The front has what appeared to be a decoration that rotated to cover the key hole, the a mechanism that had a bar that might have slide up and down to open the door. 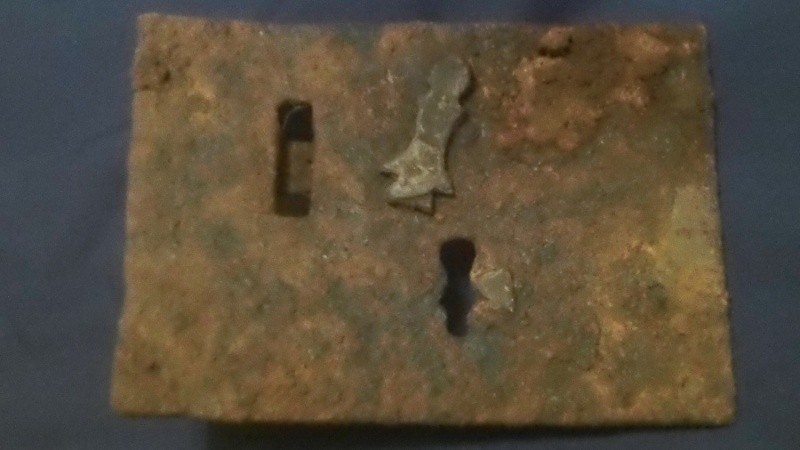 The square hole on the left side had a small bar that broke off during recovery..
this is the back of the plate. Notice the mechanism.. 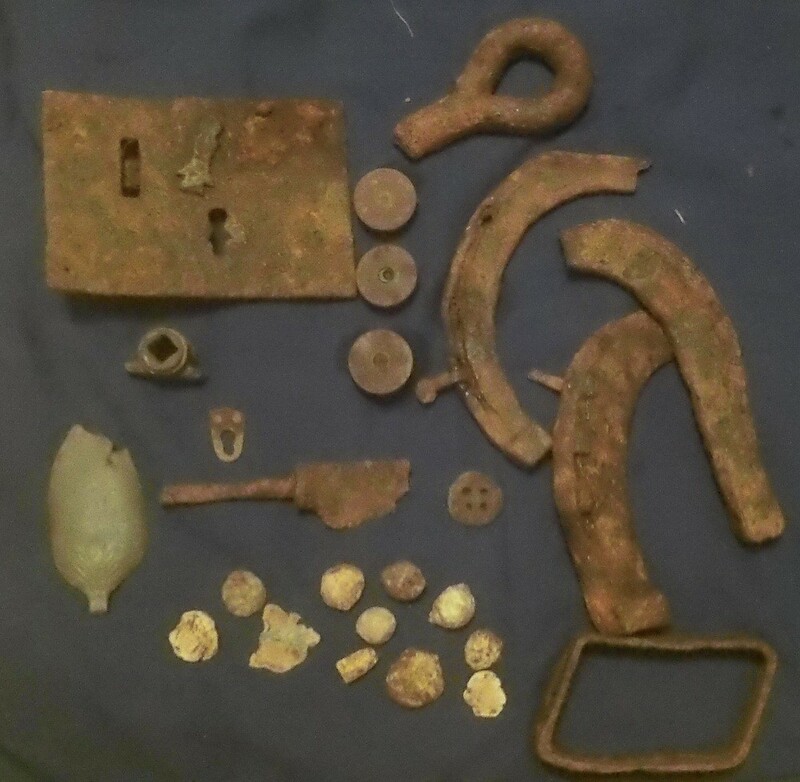 I found a few more odds and ends, including a piece of an old knife-minus the handle and part of the the blade, along with a whatzit posted in the Whatzit column..
again not really an exciting hunt , but it was a blast to hunt with my buds... Those two together are a trip..